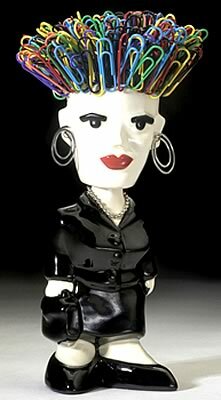 "The Yes Ma'am" Bobble Head. Make a statement on your desk or any desk! "The Yes Man" Bobble Head - Female Handcrafted and painted ceramic bobble heads. Nicely suited male and female. Paper clips make up the bobble head hair!